Police on a month-long stakeout have it easier than the Clark County, Wash. Public Health Department right now. Rather than watching one suspect, a growing army of personnel is trying to track every possible person who has come in contact with someone with measles, a task made dramatically harder by a strong anti-vaccination sentiment in the county. Though it is providing the measles, mumps and rubella vaccine, the county’s main priority is identifying cases and identifying exposure sites, identifying anyone who may have been exposed who is unvaccinated, monitoring them and preventing future exposure sites. Part of the problem comes from the long incubation period, when days can go by before rashes and fevers start appearing. The measles virus can survive for two hours in the air or on surfaces, and the Centers for Disease Control and Prevention (CDC) reports that it is contagious to the point that if one person has it, 90 percent of the people close to that person who are not immune will also become infected. In the first 31 days of 2019, 41 cases have been confirmed, with 15 more suspected, with all but one occurring in minors, and 30 of them in children ages 10 and younger. The county has identified more than 50 different exposure sites, along with the time frames in which infected people had been there and is going about finding out what other non-vaccinated people had been at those locations and where else they went. 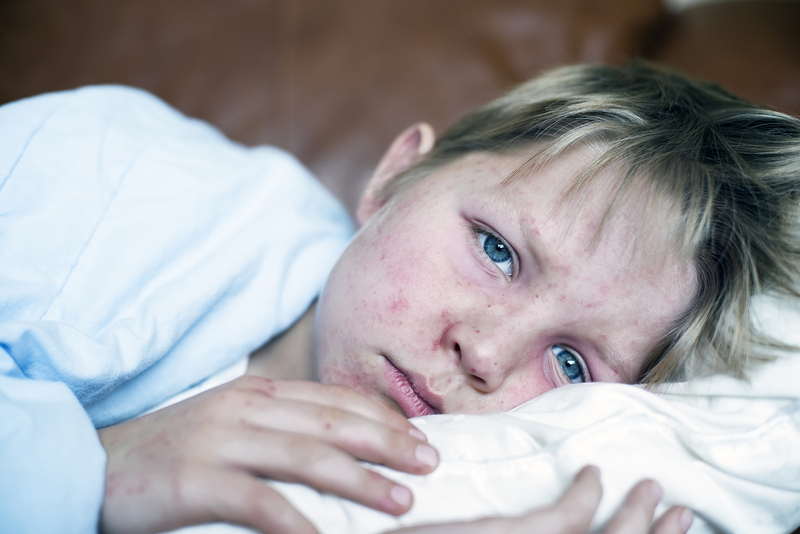 Measles complications include ear infections and diarrhea and can range to more serious complications including pneumonia; encephalitis; premature birth or miscarriage or, 7-10 years later, a fatal central nervous system disease. Infected people have been to doctors’ offices (the county warns people who suspect they are infected to call first before showing up for treatment), schools, churches, child care centers, an IKEA, a Portland Trailblazers basketball game, grocery stores, restaurants and the Portland International Airport. The county has also identified two places in Deschutes County, Ore. where people may have been exposed, and cases have shown up in Seattle and across the river in Portland, Ore.
Melnick’s army needs to account for every possible infected person’s itinerary to identify more disease vectors. For example: “Somebody who was in a clinic, we need to get the roster of anyone else who was in there, for a half an hour to two hours after that person with measles left, then we have to contact them, see if they brought someone with them,” Melnick said. “We have to find out if they’ve been vaccinated. Then we have to monitor them, calling them every day and seeing if they develop symptoms. That’s the kind of manpower it takes to do this. The full-court press has been hard. Over the first 30 days of the outbreak, the county has spent $207,000, and Melnick said it could top $1 million before it’s controlled. “We’ll try for some reimbursement from FEMA (the Federal Emergency Management Agency), but that’s not guaranteed,” he said. The County Council, which serves as the Board of Health, declared a state of local emergency, which has made it easier to implement mutual aid agreements, and Gov. Jay Inslee also declared a state of emergency, which opens up some state and federal resources. The county has also mobilized medical reserve corps volunteers. Though measles was eliminated in the United States in 2000, the last 18 years have seen a series of outbreaks, typically in communities with poor vaccination records. The state of Washington allows exemptions from some or all vaccines for personal, religious-related or medical reasons, though the Legislature is considering a bill that would ban those exemptions for the measles, mumps and rubella (MMR) vaccine. The county’s 78 percent vaccination rate falls below the 95 percent target for building “herd immunity” for nearly 457,000 Clark County residents. The public health department has also had to go on the offensive against the anti-vaccination community, which has grown since a 1998 British paper, refuted in 2011, found a link between vaccines and autism. Entertainer Jenny McCarthy and others also fueled anti-vaccine sentiment in 2007. The public health department’s Facebook page has been bombarded attacks on the efficacy of the measles, mumps and rubella vaccine and attacking Melnick and the department’s motives. “I wouldn’t be so passionate about this if it wasn’t a life-and-death issue,” he said.